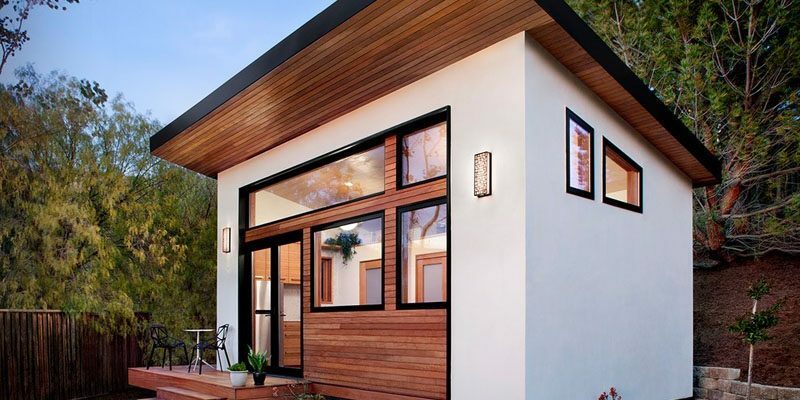 This small backyard guest house is big on ideas for compact living. 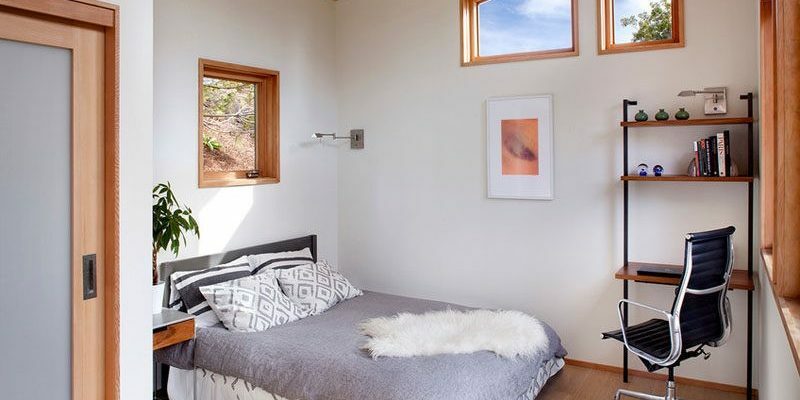 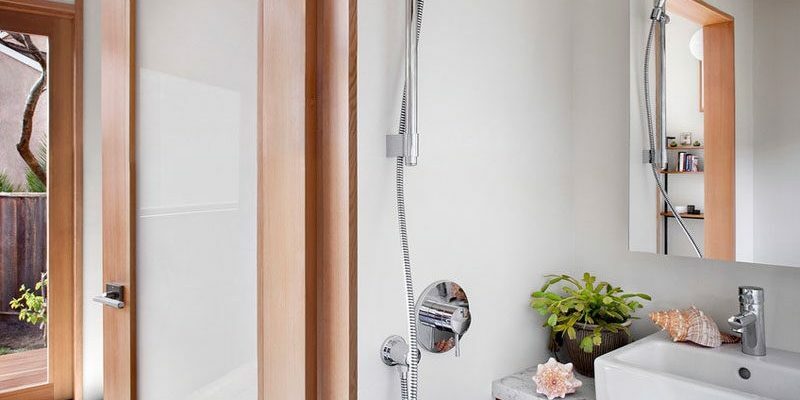 A contemporary 264 square foot guest house, designed by Avava Systems, was pre-fabricated and brought to the client’s property as just 64 flat-packed components. 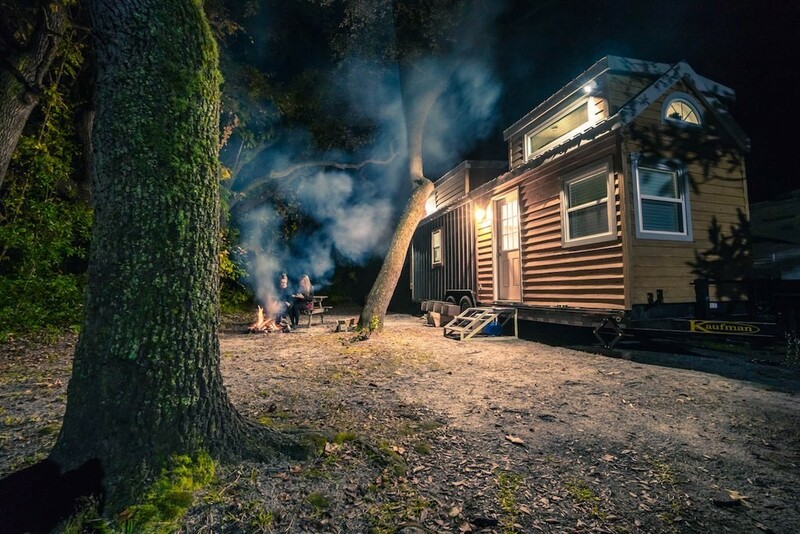 It was then assembled from start to finish in just six weeks, with a kitchen, bathroom, and bedroom. 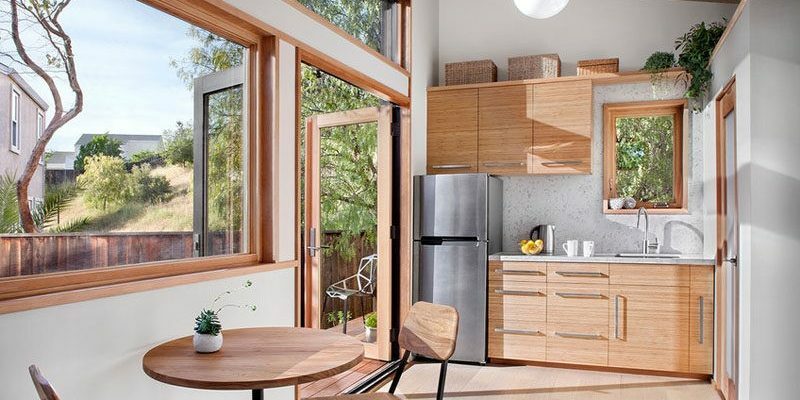 Inline with tiny house sensibilities, there’s also enough space for a work desk tucked into the corner, as well as a small dining table, and while the bathroom might be small, it has everything you need. 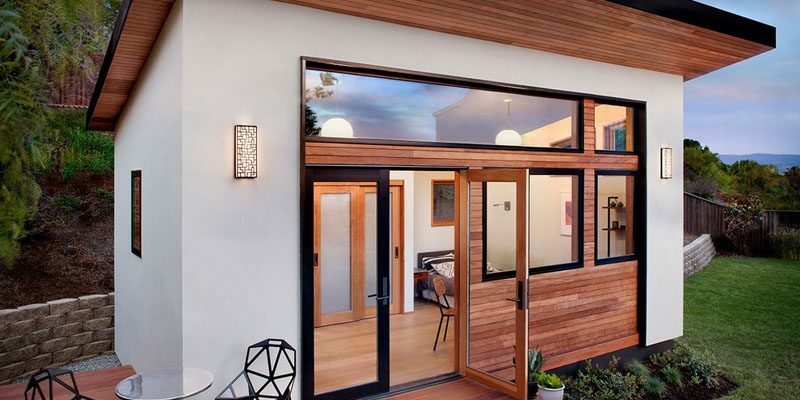 So apart from looking like a great tiny home, this prefab structure also has plenty of sustainable design features.